I don’t know about you, but this time of year is my absolute favorite. The ONLY thing that could make it better, for me personally, is if the cold weather just held off juuuust a little while longer. I must admit, I’m not a fan of winter in KC…AT ALL. I know, I know — It’s here! I’ve lived here my whole life so you think I’d be used to this by now. Moving on. Let’s get to the good stuff. SPORTS!!! I love to watch a good game, no matter the sport, truly. This time of year the World Series has just ended, NBA is back in action, Sporting KC is clawing their way through the playoffs, College Football is well on it’s way, and let’s not forget about them CHIEEEEEEFFFSSSS baby! I love it all. 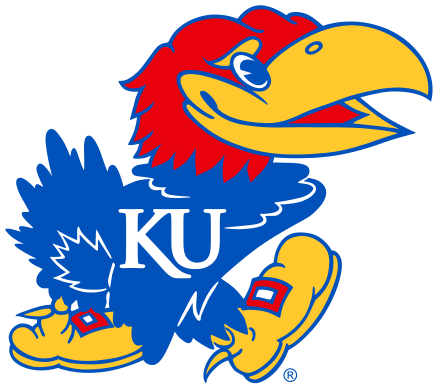 The crazy thing about sports is no matter what, we all have some crazy twisted way of how we decide to root for one team over another. Is it location, tradition, alma mater, when in Rome type of thing, favorite player, flip of a coin, Vegas, fantasy related, band wagon (yeah I said it), or some other oddly strange reason? Whatever it is, I’m sure it makes sense to you. Another behavior that sports encourages is it bring people together. 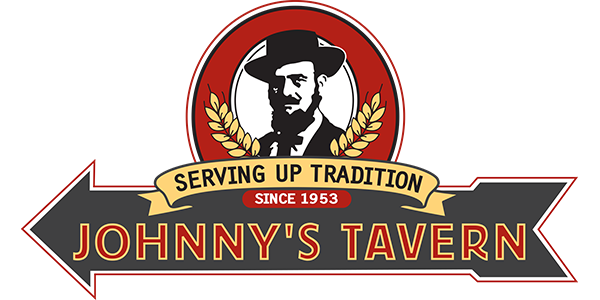 What better place can you go to then Johnny’s Tavern to watch sports and eat delicious food? No, seriously, you can’t pick a better spot. And we’re all over the Kansas City metro so there’s that. Working in downtown Kansas City, at the prime location for watching an abundant amount of sports all at the same time, you see it all. And when I say “all”, I mean it. We have an endless amount of TV requests every hour. Everything you can think of, from Nascar to European Soccer to Golf to NBA, and of course baseball and football. To keep it as fair as possible, all of our TV’s are first come, first served. Trust us, we have those people who show up as soon as those doors open to pick out what games they want where and they will stay for the majority of any given day. When it comes to the TV’s we try our BEST to make everyone happy. TRY is an important word because although we have well over 60 TV’s, something always happens on game day. Nine times out of ten, it is beyond our control. For example, when a game switches broadcast channels in the middle of the game –Crazy right? but yes, that does happen. Most patrons in Johnny’s think we just played a huge prank and/or we are just that plain mean. Not so much, we don’t like the looks we get when that happens so be nice to your TV guide master the next time that happens. You know what’s crazy is the first round of games on a Saturday or Sunday is a breeze. Everyone comes in, sits down, picks out what TV’s they want and what games they are wanting to watch. We can accommodate those requests without a hitch. No problems here. We start to feel like pros and go on about our day, slanging those drinks and preparing those big ol’ 18″ pizzas that will hold you over for quite some time. Pair that with an order of buffalo chicken dip or tavern espinaca and you are golden. Here’s where it gets tricky. Let’s say your favorite team plays in the second round of games so you come in a little early and scope out a place to sit. You are patiently waiting and you begin to kinda let the anxiety come over you because your game is starting in 10 minutes and you can just see this not working out in your favor because the first round of games are still on. You let your server know what game you are there to watch on the TV in front of you. Again, we don’t have a magic button like Buffalo Wild Wings (where can we sign up for one of those? ), and most of this is beyond out of our control. The thing is, some games run long, some of the college games are staggered a bit on purpose too, and let me tell you, OVERTIME is a fun hater for the person running the remote. You have one person who is really wanting to finish watching their favorite teams game while the person who just sat down a bit ago is wanting their favorite teams game on that same TV. This doesn’t seem like it would be a difficult situation but when this happens multiple times all simultaneously it gets interesting. During those moments you would think it could be a little on the chaotic side, and at times it certainly is. I’m switching roles to the TV guide master (I made that up – we don’t really call them that). When you’re running that remote, in between games, you have ten servers coming up to you with requests at any given time, you can’t keep them all straight. They must write all the requests down because nobody is that good, trust me. Meanwhile, you have David Farris wanting a random sports team bomb because the game he’s there to watch is about to start. People are looking at you and you might be trying to avoid eye contact because you are well aware of the situation. It”s a well oiled machine. It looks like you don’t have a care in the world because you are continuously looking up at the TV’s. Not because you are just THAT bored, but because you are trying to figure out which games are still on and which games are over, therefore can be changed to the next game that was scheduled. Commercials are on, you aren’t sure what’s over for good, or just on commercial break. You’d think that having 12 satellites would be sufficient enough, but in these times, I’m telling you it is not. Personally, yes, I am a bartender but I am right there in the middle of the action when all of this goes down. I’m there every Saturday and Sunday AM and it can be crazy but we make it through the second round of games for that day. Everyone calms down and bit and just when you start to get comfortable, here comes round three. Let’s do this! Basically, all I wanted to share with you in this blog is how hard working these magic TV guide masters truly are. I will say, this madness comes with the territory of basically offering every channel in the history of channels, but we wouldn’t have it any other way. So, if you are ever in town visiting and you need a place to watch a game, we’ve certainly got you covered. Have a seat and we’ll take care of the rest.